Many believe that when it is time to move out of the home they raised their children in, they have to give up a lot. That isn't always the case. This beautiful home in Woodforest, TX has it all and more! Consider coming out to see this home, 212 Rolling Creek in Montgomery, TX today! These owners put every upgrade you can imagine into this little gem! Desig ner paints, rich, chocolate brown wood floors, a bumped out living and breakfast area, custom built-in wine area and the addition of a media room PLUS an extra bedroom and bath are just some of the amenities this home boasts. Because our Texas weather provides us with many months to enjoy the outside, the outdoor living area is especially wonderful. A fireplace to curl up with a good book, an extended patio area and a greenbelt in the back giving you a sense of peace, tranquility and privacy. Greenbelt lots are highly prized and difficult to find. Why not consider your downsize without giving up amenities, space or location? With 4 bedrooms, plus a study AND a media room, this home still has plenty of space for your needs. A perfect win-win situation. Woodforest is the hottest new development in our area. It is growing quickly yet still retains the small town appeal. Far enough out yet close enough to get to The Woodlands, Lake Conroe or the hospital district. Call to schedule your tour of this exceptional property! 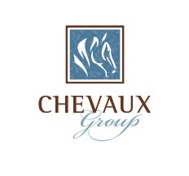 CHEVAUX Group, is your go-to real estate firm. We know the area and love what we do! ANOTHER NEW HOME SALE BY CHEVAUX GROUP!